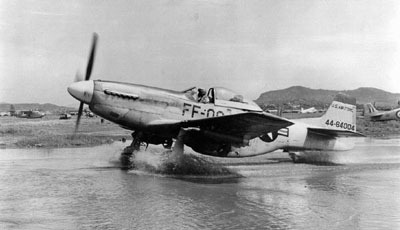 The P-51 was the first U.S. fighter aircraft to fly over Europe after the fall of France. The Mustang destroyed 4,950 enemy aircraft in the air during World War II, more than any other fighter in Europe. Stumble This! Bookmark on Delicious!